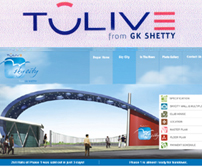 At GK Shetty Builders, we have built hundreds of structures, big and small, with brick and mortar, steel and glass. Besidses these, we are proud to be associated with the mission of building the Nation. In an effort to serve the Nation, we stepped forward to serve the future citizens through our association with GK Shetty Vivekananda Vidyalaya & Hindu Vidyalaya. GK Shetty Vivekananda Vidyalaya & Hindu Vidyalaya, adopted and supported by GK Shetty Builders P Ltd, serving to nearly 2800 children in classes LKG to XII standard. These institutions provides quality education under CBSE stream and strive to develop their total personality including physical development, intellectual development, talent development and patriotism. GK Shetty Vivekananda Vidyalaya & Hindu Vidyalaya was started in the year 1979 and is a unit of Vivekananda Educational Society, a non profit service organisation serving the cause of education since 1972. This school is also supporting two more schools in remote villages and thus takes education to hundreds of “first generation” students. These schools continue to be patronised by Smt.Shantha Shetty, Chairperson of G.K.Shetty Builders Private Limited, Shri.Ramana Shetty, Managing Director, and Shri.Gopalakrishna Shetty, CEO. Shri.Ramana Shetty guides the services of the school as the president of the School Management Development Committee. The schools house several modern facilities and teaching aids. 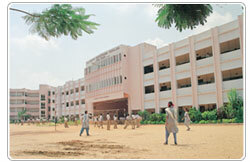 The GK Shetty Vivekananda Vidyalaya is proud of its GK Shetty Technology Block housing four spacious and well equipped laboratories, one each for Physics, Chemistry, Biological Sciences and Computer Science.